Happy Birthday to Billy Graham! Happy Birthday to a dear friend and hero of the faith, Billy Graham! Dr. Graham literally opened the whole world up for my calling and my passion as an evangelist, and I am profoundly grateful. I pray God will continue to strengthen Dr. Graham and use the ministry of the Billy Graham Evangelistic Association to reach many with the truth of the Gospel message. I shared this personal reflection alongside many others in the 2013 book, Billy Graham and Me: 101 Inspiring Personal Stories from Presidents, Pastors, Performers, and Other People Who Know Him Well. I first met Billy Graham in 1983, when he invited me to speak at the Billy Graham Evangelistic Association’s International Conference for Evangelists in Amsterdam. At that time I was only in my thirties, and I didn’t know that Billy Graham even knew I existed. But he wrote me a beautiful letter asking me to come and speak at the conference to the world’s leading evangelists. Before we gave our talks, Billy Graham walked over to the table where I sat with my wife, and we shook hands. This was the first interaction I ever had with him. Then he said, “I’ve read your sermon. It’s the most powerful sermon I’ve read on the subject. Do you mind if I use it sometime?” I was overwhelmed. That simple comment showed me the man Billy Graham is. He is very humble in everything he does. I replied, “Not at all! You will do a better job with it than I will.” And I knew that he would, because he had long ago mastered the greatest challenge a speaker faces, which is to combine simplicity with sublimity. He was a great model for that. A little later at the conference, I gave my talk on “The Lostness of Man,” and then Dr. Graham stepped up to give his talk. He began by saying that he didn’t really need to preach after what had just been said and felt in the hall! But that’s Dr. Graham: one who inspires and encourages everyone in making them feel singularly gifted for the task. You can imagine how that comment made me feel, to have the world’s most admired and revered speaker respond so positively to what I had said. The enthusiastic response, not only of Dr. Graham but of others, too, actually changed my life, because following that conference I made a number of big decisions, as a result of which I ended up where I am right now. What struck me at the Amsterdam conference was that, wonderful as all the speakers were, we were basically speaking to people whose lives had already fallen apart. I sat there thinking: Who is going to reach the person who does not feel life is falling apart but who has genuine intellectual barriers to belief in God? There are a large number of people like that. I pondered these questions. I flew home and talked to my wife, and then went to India and saw the need there. I spoke with pastors who had no books and hardly a change of clothes. As my wife and I discussed the matter, I told her that two things were needed: we must reach the thinker, certainly, but we ought never to lose our compassion. The neediest of the world must also feel our touch. So when we started this work it was on the twin feet of proclamation and compassion. My wife and I laid it before the Lord that if we had a $50,000 gift from somewhere we would start this work, but until that happened we weren’t going to tell anyone about it, not even our family. Shortly after this, in August 1983, I decided to resign from my position as chairman of the Department of Evangelism and Contemporary Thought at Alliance Theological Seminary in Nyack, New York. I gave them one year’s notice. A few months later, in November 1983, I was speaking to a conference of lay businessmen and women in Cleveland, Ohio. Interestingly enough, they had started that conference on the heels of some meetings Billy Graham had held in Cleveland. There were several hundred people at the conference, and on the last day I asked people in the audience to pray for my wife and me that God would give us wisdom in a matter we had placed before Him. I went back to my hotel, and a while later, as I was leaving, I saw a man waiting near the exit door. He looked at me and said, “I went back to my room, I got on my knees and I prayed for you. I said, ‘God, what is that young couple looking for? What wisdom are they looking for?’ And as I got to my feet I felt God prompting me to give you a check for $50,000.” This man was a total stranger to me. I replied, “Sir, you don’t even know me.” “I’m going to trust you,” he said. “I can’t take it like this,” I replied, “because you are a stranger, but if you tell me where you live I’ll fly to you sometime. I’ll tell you what’s in my heart and we can take it from there.” He replied, “Mr. Zacharias, you are a busy man. Tell me where you live. I’ll fly in to see you.” It turned out that he lived in Youngstown, Ohio, and soon after our conversation he flew to New York and spent the day with me. At the end of the day, he said, with tears running down his face, “Ravi, I’m not an educated man. I’ve never been to college. But I know how to make money. If this is what God has laid on your heart, I’ll take care of you. You do what needs to be done in reaching the skeptic. I’ll get behind you.” This promise of support was the final link in the starting of my ministry. It all came about as a result of being at Amsterdam in 1983, at the invitation of Billy Graham, and sensing God’s lead. I think God prompted my heart to help me see the need and how I could fill it. 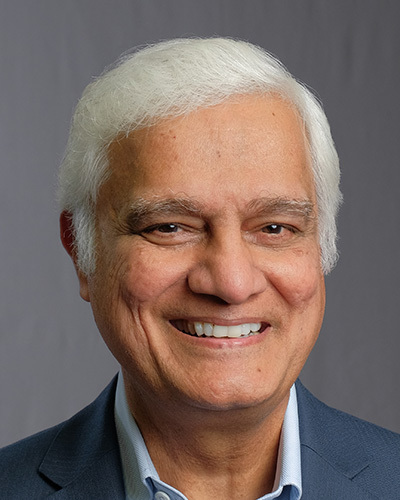 With financial support now guaranteed, we pulled together some friends and in August 1984 launched Ravi Zacharias International Ministries. Today we are headquartered in Atlanta, Georgia, and have operations in ten countries. Our motto is “Helping the thinker to believe and the believer to think.” We reach the skeptics, the people who are hostile to religion. Our message goes to four arenas: academic, business, political, and the arts, because these are the arenas that shape our culture. I have a global 120-person team, and we have about twenty frontline Christian apologists. We also have a radio program on two thousand stations called “Let My People Think” and a publication called Just Thinking. We are in some of the toughest universities on the globe, drawing packed audiences. Throughout our endeavor, God has guided us, and I think the Lord used the conferences Billy Graham sponsored, such as the one in Amsterdam in 1983, in many ways to accomplish many ends. At these conferences, it is not so much what you hear from the platform, important though that is, but the people you meet, the networking that happens, the inspiration that comes from the men and women from all parts of the world who sit around the tables. Scores of countries are represented. I think that was the actual catalyst for me, interacting with all those wonderful people that Billy Graham brought together. That was, after all, his vision, to encourage and inspire the evangelists who were out preaching to people but often of necessity leading a very lonely lifestyle. I served on the program committee for the Amsterdam event, and I remember Dr. Graham sending the message that some of these evangelists felt very much alone. They spent hundreds of hours away from home, and in those days, before the Internet and cell phones, it wasn’t so easy for them to keep in touch with their families. Dr. Graham wanted us to plan a program that would inspire all the evangelists, wherever they were. This kind of networking and inspiration is one of the ways that Billy Graham has had a huge impact globally. He enabled people to forge links with one another and so multiply their ability to change people’s lives through Christ. The impact of these links and connections is exponential, as is the impact of a single life changed through Christ: it connects and reconnects and like a hub spreads out in spokes. This is part of the legacy that Billy Graham will leave, the inspiration that came through a life that touched so many thousands of people. This web of connection that Billy Graham has created had an impact on me very early in my life. I came to know Christ after I attempted suicide at the age of seventeen in Delhi, India. It was through the work of the Youth for Christ movement that I was reached. When I gave my life to Christ, he changed everything for me. Since then evangelism has been in my blood and bones. And who was the man who played a vital part in the forming of Youth for Christ in its earliest days? It was, of course, Dr. Billy Graham. He was, indeed, the first full-time evangelist employed by Youth for Christ International in the mid-1940s. That dramatic incident from my youth is just another example of how Billy Graham’s work has reached out through so many connections and touched so many people worldwide in vital ways over many decades. In that respect I certainly owe him a large debt, as do all of us evangelists. He devoted himself to a cause infinitely larger than himself, and he has never wavered.